Holy month of Ramadhan has finally come and many Muslims have thought of doing some early preparation for Eid al-Fitr till they forget their prayer times. Some of you might not know the location of prayer rooms in malls. Trust me, your shopping experience can be filled with joy and fun if you stop shopping for a while and pray. 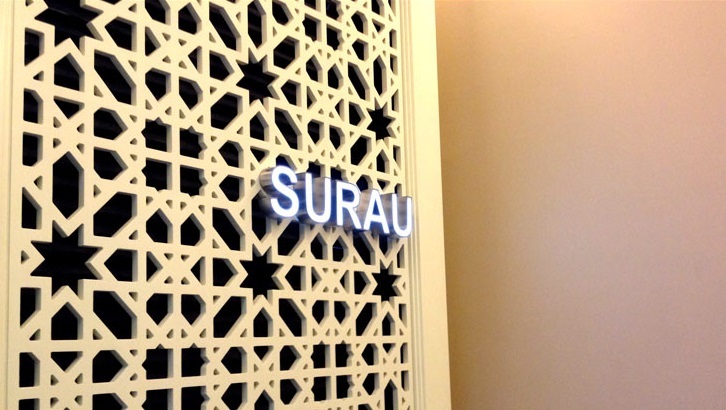 There are many prayer rooms that have been set up, just for you at all the malls of Kuala Lumpur. So check these out! The location of prayer room in Pavilion is in the parking lot B2. Everything in this prayer room is in tip top condition, thanks to the janitors who’ve been working so hard in maintaining its cleanliness and management. As you can see, this is the way to go to the prayer room. Bet you’ll feel calm and peaceful as you walk in here. It’s nice to see prayer room like this in Pavilion. There are prayer room located at 5th floor too! KLCC’s prayer room is situated at the lowest floor. You will walk through the Cold Storage, and KFC restaurant can be seen on your left while the Guardian Pharmacy is on your right. Go straight towards the ATM machine and turn to the left. 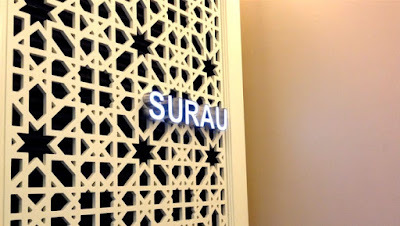 The prayer room is so spacious and comfortable with additional equipment like digital prayer clock and prayer closet filled with praying veils as well as Al-Quran and translations. The praying veil usually will be provided on the praying mats. So, you can go and pray after you take your ablution. It’s so easy right! There is also a large wall mirror to beautify yourself like wearing scarf and put your make-up on. The prayer room has been set up, just ready for you to feel at home. Mid Valley is different from other shopping malls as it provides many prayer rooms for you. Main prayer room is located in Aeon at the basement floor. You’ll walk pass the pharmacy on your left, and you’ll see a post office and then turn left and continue straight to the prayer room. On top of that, there is also a prayer room on the third floor. Which is located nearby the stationary shop in Aeon but the size of the prayer room is quite smaller which can fit only for 4 people. My advice is, you need to be fast just in case you wanna perform prayer at this floor. The location of IKEA’s prayer room is just next to the cafe. So, after you have had your meatballs, you can just drop by. It is clean and super comfortable but you need to bring your own praying veil if you don’t wanna get stuck in the crowd especially during Maghrib prayer time! We bet that you’re gonna like the location as the place is near the cafeteria and washroom. It will be easier for you as you may leave your family or group to have iftar at the cafeteria while you perform your prayer. For me One Utama is kind of complicated because it has two sections; old wing and new wing, the prayer room is located at this part. It’s nearby the GSC beside Public Bank ATM nearby SNJ souvenir shop. With this wide space, you will surely be able to perform your prayer here at peace. SOGO’s prayer room is located at the carpark basement. When you see food restaurants like McDonald’s and Manhattan Fish Market or Cold Storage and then you go down by using the escalator. The prayer room was narrow back then but now it’s more spacious and comfortable. For Times Square, a prayer room for men is located on the sixth floor, and one provided for women can be found on the seventh floor. The condition of prayer room is sadly wet caused by the water used to perform wudu (ablution). There are a few carpets but it’s simply not enough. It’s located on the top floor near the carpark on the outside. Yeah, you’ve found it! No worries, SACC Mall provides a clean and quiet room where you can comfortably be praying. The Praying veils are clean too! Honestly being in Sunway Piramid is like being in “Takeshi Castle”, you can easily get lost especially in finding the prayer room (you’ve gotta keep your faith strong in tough times) but no worries, you shall be lost no more. In Sunway Pyramid, there are two prayer rooms. One located nearby Popular book shop and Miss T clothing store, which is so spacious and cold too! Another small prayer room is located at Aeon where it can fit a maximum of 1 or 2 people using the room at any one time. Prayer room is located at the centre of attraction where you will see KFC and Pizza Hut restaurants. There will be a space along a narrow passage nearby the public phone and Maybank ATM machine and then turn to the left and you’ll see the prayer room for both men and women. It looks so comfortable isn’t it? If you go to the central market, the location of the prayer room is at the rooftop and then you go up the stairs and turn right, you'll see a gate, go out of the gate and you’ll see the prayer room. Easy beezy lemon squeezy, it’s at the fourth floor! All you need is to take the escalator. The condition of prayer room is comfortable, clean, neat and orderly. The waqf (charitable) prayer veils also can be used comfortably, without musty smell. You need to be patient as the ablution room is a little bit far from the prayer room. The prayer room for man is located at the third floor in front of Celebrity Fitness while prayer room for women is located at the second floor. When you see prayer room like this, it’ll surely get you into the mood to perform prayers. Not just that, you might also feel the urge to perform prayer immediately and to stay there for some time! A wide-open space as this, will help to improve your concentration while praying. A new mall, Quill Mall had just opened and built in the heart of Kuala Lumpur. You must expect for a new prayer room too. If you plan to come to shop here and wanna know where their prayer rooms are, lemme tell you; the location is at the second floor, inside Aeon, find the children’s floor near the baby's room and toilet and you’ll find it. There is another prayer room too where it is located in the building at lower ground. The condition of the room is all tip top! So peeps, no matter how busy you are, shopping is so not a perfect excuse to skip prayers. Let’s make a change!